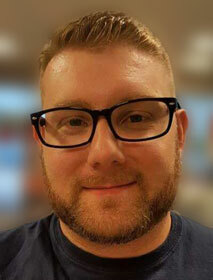 Robert Redmond CPI, Owner and chief inspector at Redmond Home Inspections, has always enjoyed working with others. He has a strong background in business and customer service and draws on this experience to give his customers the information they need to make informed decisions for their homes. From management to the customs brokerage industry, Robert brings outstanding customer service, extreme attention to detail and exceptional professionalism to each comprehensive inspection. 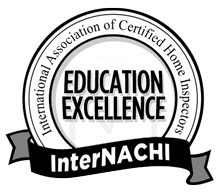 Robert is a Certified Professional Inspector, trained by the American Home Inspector Training Institute (AHIT), InterNachi and Carson Dunlop. He is also a member of the world’s largest trade inspection organization, the International Association of Certified Home Inspectors (InterNACHI), and performs inspections according to the most respected principles in the industry, outlined in their Standards of Practice and unparalleled Code of Ethics. Robert has an innate, hands-on knowledge of older homes. He renovated his century-old home from the ground up and encountered many unique challenges along the way. He understands the nuances of homes, the inner workings of their systems and what it takes to maintain them. Robert combines his experience, the use of cutting-edge equipment, and a dedication to continuing education to ensure that homes are Inspected Once, Inspected Right! Below is a sampling of the many courses and continuing education Robert Redmond has completed. Additionally, Robert has received the InterNACHI Gerry Beaumont Educational Achievement Award from 2014-2017 for excellence in Continuing Education. He has completed more than 50 hours of accredited courses annually, which keeps him at the forefront of industry innovation, policy and procedure.